Those who are examining the evidence in the Halbach murder case as depicted in the Making a Murderer program from Netflix (Dec 2015) have probably come across two elements that come into the story after initial searches: the magic bullet and the RAV4 valet key. I have tweeted about both of these as well as posted on the subReddit. I’d like to expand a bit, showing some of the images I’ve looked at as trial evidence has been released. First is Evidence photo 266. This is the full photo from the evidence files. Zoomed even closer. Note the red corner of the Tool Shelf. This is a cropped version, zooming into the relevant area. Unfortunately, the resolution isn’t very good. A magnifying glass would help. However you can get a relative position of the found bullet by observing the discoloration on the cement floor. Exhibit-garage-bullet-marker 23. The compressor removed (fancy that), but note the distance from the tool shelf. And finally, the exhibit marked bullet 1, w/ yellow marker 23, that we are familiar with. In the photo above: pay attention to the WHITE stuff near the yellow evidence marker. IT’s VERY IMPORTANT. ‘Smash’ on the Reddit discussion of Making A Murderer took me on regarding these images and produced this, showing the angles if you moved the red tool chest around. In this image manipulation, it appears the bullet could actually be behind the wheel of the air compressor. It’s hard to know, given that many items could have been moved out of position, including the tool chest, by the time the bullet find happened. I could be convinced either way. There are no landmarks for the red chest position in the latter photos. Well, things are emerging. Here’s another photo of the same area, comparing not the surrounding moveable items, but something that is UNmoveable: the WALL. UPDATE NOW: remember the white stuff? OK, I’m not going into details here. This Reddit Post is too good to try and replicate. But here’s the gist. The white stuff is cement dust. Yeah, they took a jackhammer to the floor. 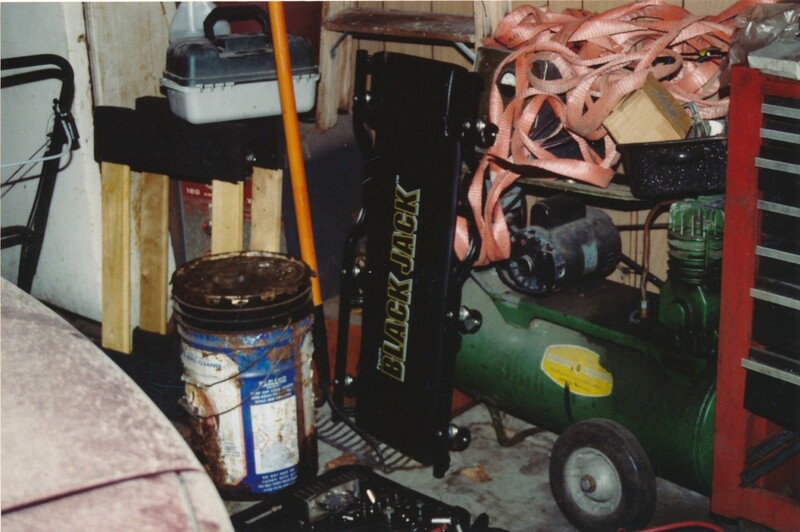 In this Reddit post: https://www.reddit.com/r/TickTockManitowoc/comments/5r2nww/the_aftermath_of_the_magic_bullet_search/ you can see the area they did that hammering, just to the front of the red tool chest. The dust and chips went EVERYWHERE in that area. Why does that matter? Because there is NO DUST ON TOP OF THE BULLET. The bullet was placed there after the jack hammering the day before. Go ahead, slide back up this page and look again. The bullet is sitting on TOP of the CEMENT DUST. The key found on the floor of Avery’s bedroom wasn’t found until several days after the initial search. It appears on the floor beside a bookcase across from the side of the bed, near the doorway to the room. It as Lenk who spotted it, not Colborn or the Calumet County investigator, Kuscharski. K was sitting on the bed, the key was straight in front of him, according to his testimony. Several items on the top of bookcase are in their same positions. Note the position of the white pieces of paper near the remote control. And yet, Colborn’s testimony was that he shook the bookcase and the key fell out, somehow. You might say he pulled the bookcase forward (note the electric cable is a slight different angle) and it separated the back of the bookcase from the main structure (the cable extended into the bookcase to a charger I believe). Yes, the case had been searched, the loose items removed before. So why now? and how did the key end up so far away from the supposed source? Finally, who moved the slippers and when? Lenk and Colborn were both working in that area according to K. Lenk points from the doorway: look there’s a key.